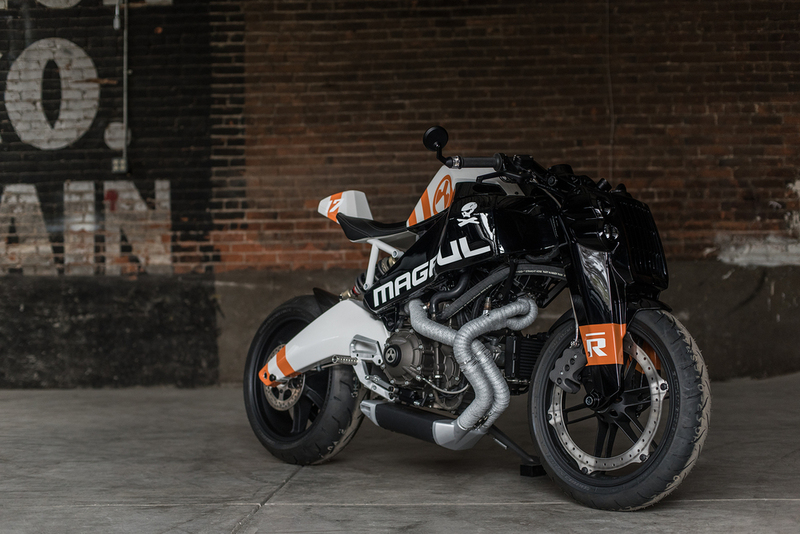 Ronin #17 is one of a series of motorcycles inspired by vintage race bikes. This motorcycle keeps a black front end and fuel frame with a silver air box cover and orange racing stripes. The bikes in this series also have CNC machined rear sets and battery box and wrapped header pipes.